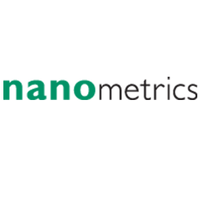 Nanometrics delivers market leading process control solutions through innovation, collaboration, and execution. We are committed to teamwork and continuous improvement that allows us to outperform our competition with technology leadership and profitable growth. Nanometrics’ automated and integrated systems address numerous process control applications, including critical dimension and film thickness measurement, device topography, defect inspection, overlay registration, and analysis of various other film properties. Our solutions are deployed throughout the semiconductor fabrication process.